About that $14.1 billion spent around the big game: What else could that much money buy? The news out of the National Retail Foundation this week is that Americans are spending $14.1 billion dollars in the run-up to the big game this weekend. The thought that we’re about to spend $14.1 billion on food, drink and merchandise around the big game got us thinking. Sure, you could buy 14.1 billion of your favorite candy bars. But where are you going to store all those Milky Ways? Let’s think bigger. Way bigger. $14.1 billion is bigger than the total 2016 budgets for 16 American states. Real states. States you’ve heard of. As a country, we’ll be spending more in the next week on nachos and other stuff than the people of any one of these states spent on their entire yearly government budget: Alaska, Delaware, Hawaii, Idaho, Iowa, Maine, Mississippi, Montana, Nebraska, New Hampshire, Oklahoma, Rhode Island, South Dakota, Vermont, West Virginia or Wyoming. Take a look at Curbed.com’s list of the 25 most expensive homes for sale in The United States. Truly breath-taking houses with equally breath-taking price-tags, topping out at $250 million. 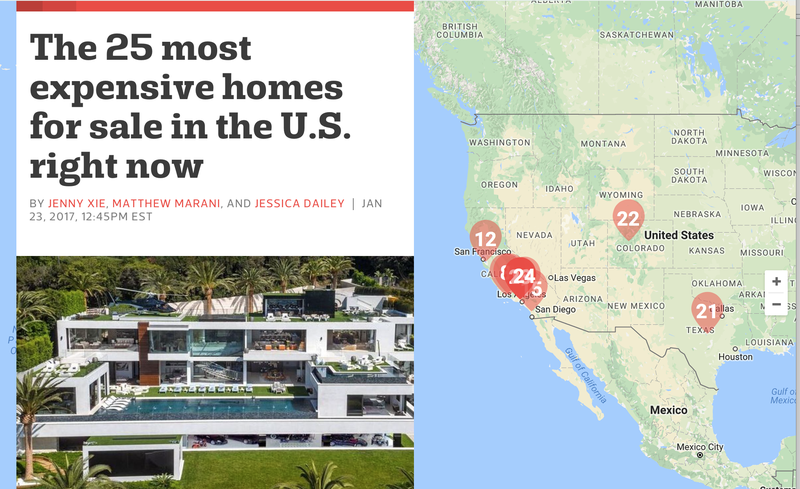 If you were to buy them all — all 25 of the most fabulous homes in the USA — you’d hand over only a $2.8 billion chunk of that $14.1 billion. Plenty to go shopping in other countries around the world. And you’d still come home with cash in your account. This is getting really hard. Where are the truly high-ticket items? Now we’re talking! High-end military planes are where you can spend some serious money. 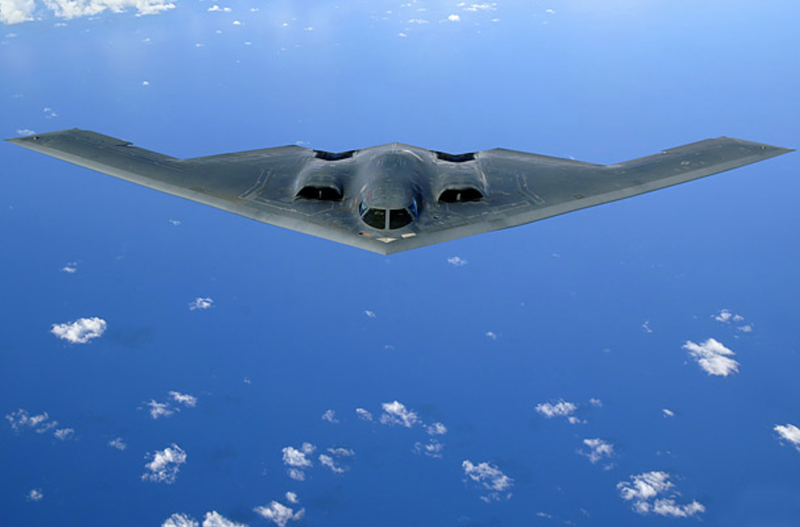 Take, for instance, the B2 Bomber, currently in service around the world. Each one will set you back $2.4 billion. Let’s get five. Which leaves $2.1 billion to pick up about 22 F/A-18 Hornet fighter jets. And there’s enough still left of the $14.1 billion to fuel up all those planes for a long time to come. Just as it is with buying up all the expensive houses, it’s even harder to simply give away $14.1 billion to charity, at least at the level and speed that it was given by private philanthropists in 2016. For instance, Forbes has a list of the 18 largest private charitable donations in 2016, totalling $4.477 billion. Money given by the generous benefactors was for public health, education, the arts, scientific and medical research and other worthy areas. Which leaves about $9.6 billion to go. Good luck! If you’re going to give away that $14.1 billion, you’re going to have to do better. And move faster. $14.1 billion is a lot of money. But, as a country, we’re also a whole lot of people. And while it may not seem so, it starts adding up fast. One case of soda here, a couple bags of chips there, a big screen TV, some wings and some official team gear and, before you know it, there we are: $14.1 billion. One bit of good news: We’re actually spending about $1 billion less than we did in 2016. What will we do with the savings?